This cheese factory produces fresh cheeses such as Squacquerone di Romagna PDO since 1969. For their products, the Comellini family has always chosen only high quality raw materials: that’s why they have many certifications such as the IFS (International Featured Standards) which certifies the seriousness and professionalism of their production processes. Always aware of customers’ needs, since a few months the cheese factory also produces a lactose-free Squacquerone. In 2012 they ranked first at Alma Caseus, a prestigious national competition dedicated to Italian cheeses, with their Squacquerone di Romagna PDO. For three generations and for over 55 years, Caseificio Pascoli has been producing fresh and ripe cheeses, among which the Squacquerone di Romagna PDO. Local ingredients and respect of production process have made this dairy famous for its excellences, 100% Italian milk and local cheeses first of all the Squacquerone di Romagna PDO. In 2014, the cheese factory was awarded the first prize at Alma Caseus with its Squacquerone di Romagna PDO and in 2012 the third place. Founded in 1955 as a centre for milk collection, it becomes a cheese factory in the early Seventies producing fresh cheeses among which, of course, the Squacquerone di Romagna PDO, fully respecting tradition and always with quality oriented production processes. Active since 1972, Caseificio Mambelli is at its third generation of dairymen with a vocation for “genuineness”, that is to say for a choice of ingredients, artisan processes and craftsmanship, without added preservatives or additives. Producers of Squacquerone di Romagna PDO, they also sell their products on-line. Not only cheese factory, but also restaurant and hotel, Casa Spadoni in Fognano di Brisighella produces its Squacquerone di Romagna PDO in a state of the art facility (part of Molino Spadoni group), but with old times care and passion. The production extends to many other hard and soft cheeses, like mozzarella. 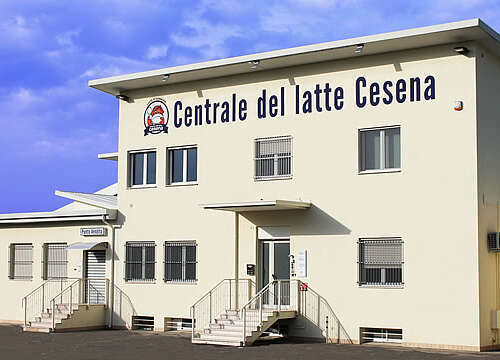 Founded the 31st July, 1959 for the production of fresh milk, the Centrale del Latte di Cesena nowadays also produces a wide range of fresh cheeses (among which the Squacquerone di Romagna PDO and a lactose free Squacquerone), ripe cheese and ice creams. 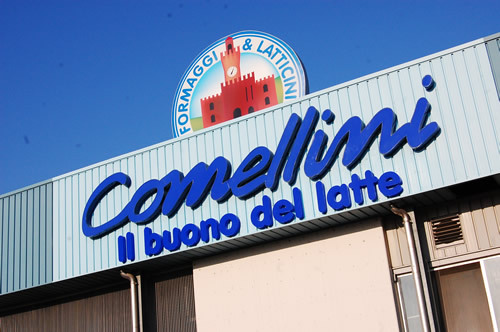 It’s the only local co-operative in the industry and for all its products it uses only Romagna milk coming from its associates, with a daily traceability up to the stable of origin, which can be viewed on its website. For all productions, following its a zero-mile philosophy, it only uses certified green energy coming from renewable sources.